Scene: Early morning beauty ritual. "Oh no! My loose powder is already empty. I forgot to stock up the night before." Have you been there? I'm sure you do. For some of us, our beauty ritual is not complete even if we only miss one step. So what did I do? Let's find out below. I have with me two kinds of facial powder: the Johnson & Jonhson's Baby Powder and Daily Spell Magic Powder from Bench. 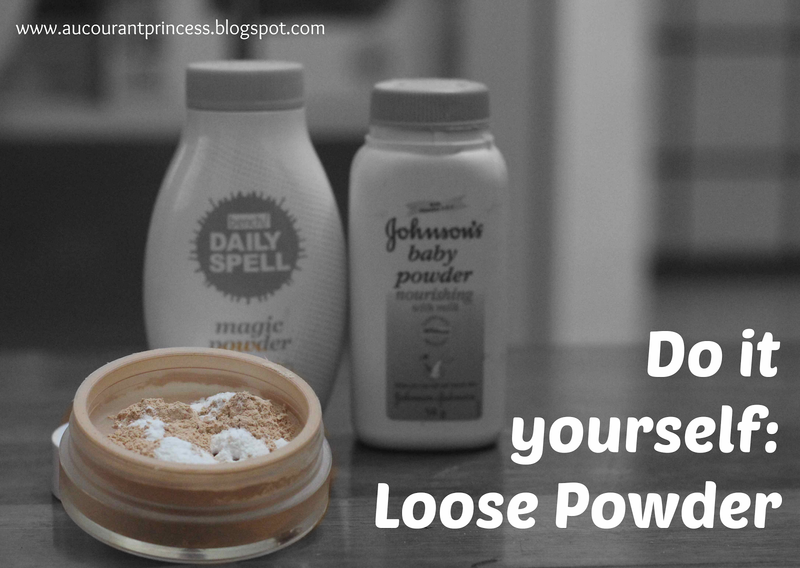 I've mixed the two powders together in an empty loose powder container and shake it thoroughly before use. And viola! A new product is born. It's that easy y'all! Why Mix the Two Powders Together? Actually, you can choose to have either one of them (or whatever you have in your beauty box). Bench's Daily Spell Magic Powder gives off a darker finish against my natural skin color, to tone it down, I decided to mix the two powders together. Also, this powder keeps my oily skin at bay. And it's cheap at PHP25 only. So easy right? Actually, this is a no brainers solution. I tell you what, up until now, I'm still doing this. Have you been in a similar situation? How did you manage to solve the problem? Let me know your solutions in the comment section below. I love reading them.